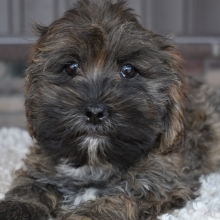 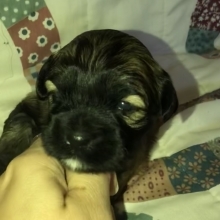 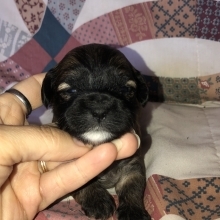 This crossbreed is a mix between a Shih-Tzu and a Poodle. 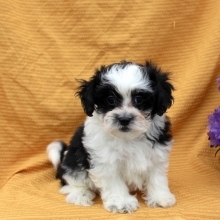 Shihpoos are very loving and playful, and get along very well with other pets and children. 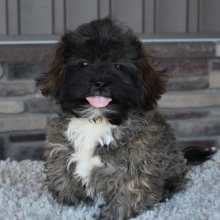 They are easy to train, intelligent dogs, and do well in any size home. 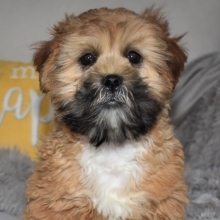 The appearance of a Shihpoo may vary, but this dog consistently has a cute, alert expression and devoted, people-oriented personalities.